My wife Michelle and myself have been doing a lot of work over the last few weeks sourcing new products for our Club Shop and getting them in stock in time for people to be able to buy in time for Christmas. Michelle will take a leading role managing the stock and ensuring online orders are sent out etc. and she will be opening the shop up on Thursday at Heritage Park from 4pm to 7pm and we will also have the Club Shop open on Saturday 10th December at our game against West Auckland. If anyone wants to buy products from the shop but doesn’t want to attend the game, then you can get admittance to the shop via the side gate (next to the turnstiles) from 4pm and the shop will be open until 6pm. 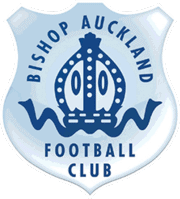 All our products are available to view and order online http://bishopafc.com/shop/ and if any of our products require ordering then orders placed by 6pm on Saturday will be delivered to us by Wednesday 21st December and we will deliver all to all local locations by 24th December. If you haven’t decided on how you are seeing the New Year, why not come down to Heritage Park where from 7pm till late we will have a live band and food for only £20 per person. Contact us on [email protected] or telephone us on 01388 604606 for more information. Saturday is our last home game of 2016 and we hope as many people as possible can get to the game and support the team. Last Saturday was a disastrous day for us as the team never got going at Marske and we deserved to get beat but let’s face it we had a run of five games without defeat before the Marske game and the team are more than capable of another run of victories. As you will hopefully have seen, we have started filming our home and away games and we would like to put together a team of people who would be prepared to film the games and edit and publish the videos online. If you are interested or know someone who is then please get in touch! 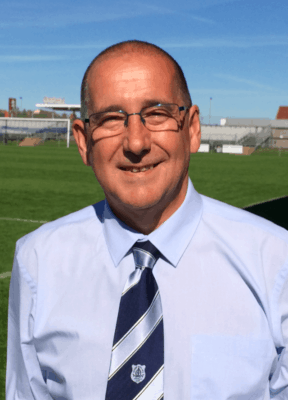 On Monday we had a Board meeting and welcomed Dave Mills to the Club. Dave will be leading our commercial activities and we had a great discussion on our plans for the New Year. Welcome to the Club Dave! The next game at HP after Saturday will be the FA Youth Cup 3rd Round tie between Middlesbrough and Rotherham. More information on this game will be onsite soon.